Karnataka special thatte idli(plate idli) is the first breakfast recipe that attracted me towards Karnataka delicacies.Next comes mysore masala dosa, Davangere benne dosa & akki roti.I have tasted this idli in small food joints here.When i was working,my colleagues used to have this idli along with a vada for their breakfast.Even Sendhil had told me lot about Tumkur & Bidadi special thatte idlis.He had also promised to take me there to taste this idli. It was my long time wish to prepare this at home as i love to make different types of idli recipes for breakfast.When I was telling this to my “school moms” friends,Priya told that her mom makes this idli very well.She shared her mom’s recipe & also the thatte idli stand .Thanks a lot priya. I have tried this idli thrice so far and every time it came out very well.So i wanted to record this recipe in Chitra's food book. 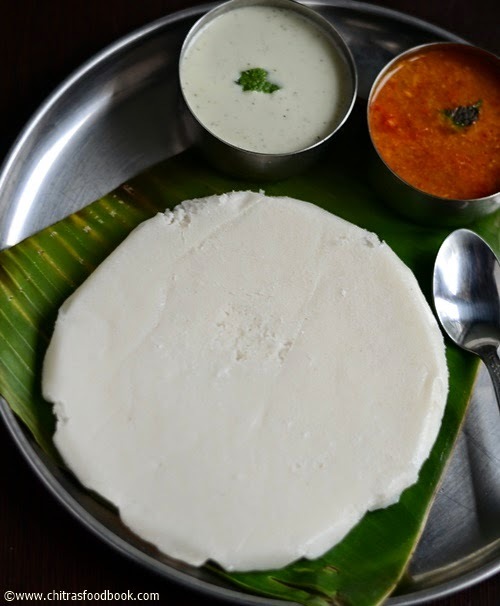 It tastes super soft when eaten hot.I recently tried Karnataka style hotel idli sambar.With hot thatte idli,coconut chutney & sambar,it tasted heavenly!. Here is a picture of thatte idli stand.. It takes nearly 30 minutes to grind in a grinder.Add salt if summer season, mix the batter well and allow it to ferment overnight.U should leave it for at least 12 hours.Proper fermentation is needed to get soft idlis. Next morning, add salt and cooking soda. Mix well and rest for 15 minutes before you make idlis. Mix well. If u don’t have thatte idli stand,take a small round plate with rim.I used the lid of steel storage containers. Grease with oil generously or line with the cloth & pour the batter.Take the idli pot with water & boil.Keep the round plate over the idli plate and cook for 10-15 minutes.Check with the back of spoon.If it comes out clean,idli is cooked.Allow the idlis to cool for few seconds before u remove them else it may break. 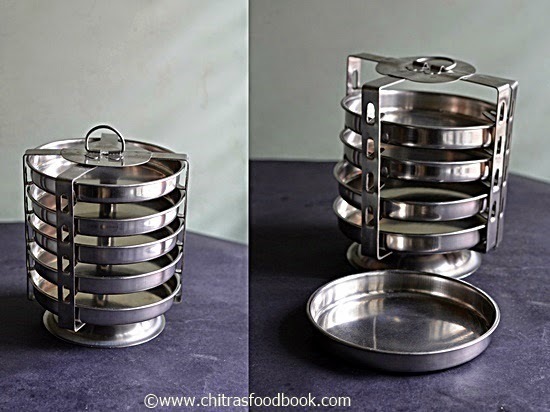 If you have thatte idli stand, keep it inside the idli steamer and cook for 10 minutes. Let it cool for a minute and then remove the idlis using a wide ladle as shown in the picture below.Serve with chutney & sambar ! Proper fermentation & consistency of batter is very important to get super soft idli. Wash the ingredients twice before soaking to get white colored idli. Adding baking soda is very important here to get softness. The batter should be smooth like our normal batter.Do not grind it coarse.Consistency should be of normal idli batter. U can replace cooked rice with sago & poha.In that case use 1/4 cup sago & 1/2 cup poha. Do not remove the idli quickly when its hot as it may break.Let the idli cool down for a minute before you remove them. 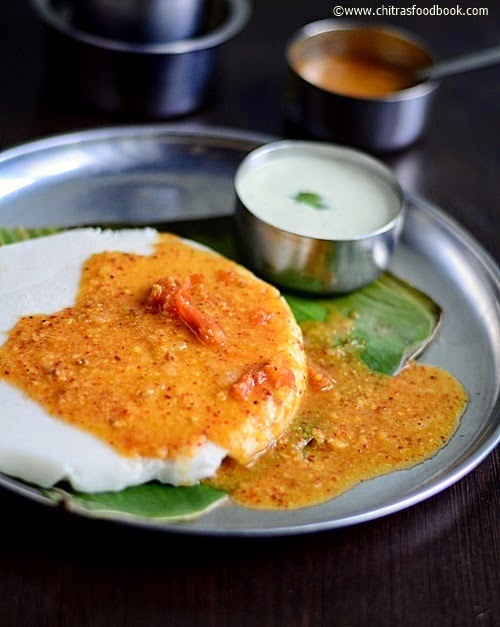 Serve & enjoy this idli with ur favourite chutney & sambar !! super soft idli's. Nice presentation dear..
totally new to me.. looks so tasty and soft.. I use to eat this a lot when ever we go to long drive.. It reminds me of those days.. Perfect idli. last pic makes me drool,lovely ones! 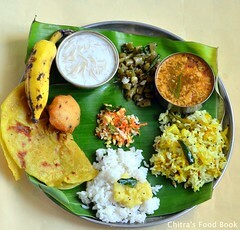 Flavourful platter dear....... Looks super!! 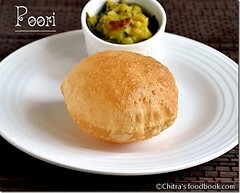 Very interesting idli recipe Chitra...looks really nice with beautiful pictures! Very unique and delicious idli...wonderful preparation ! 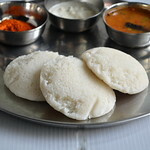 My mouth is just watering here, thatte idli makes me hungry. 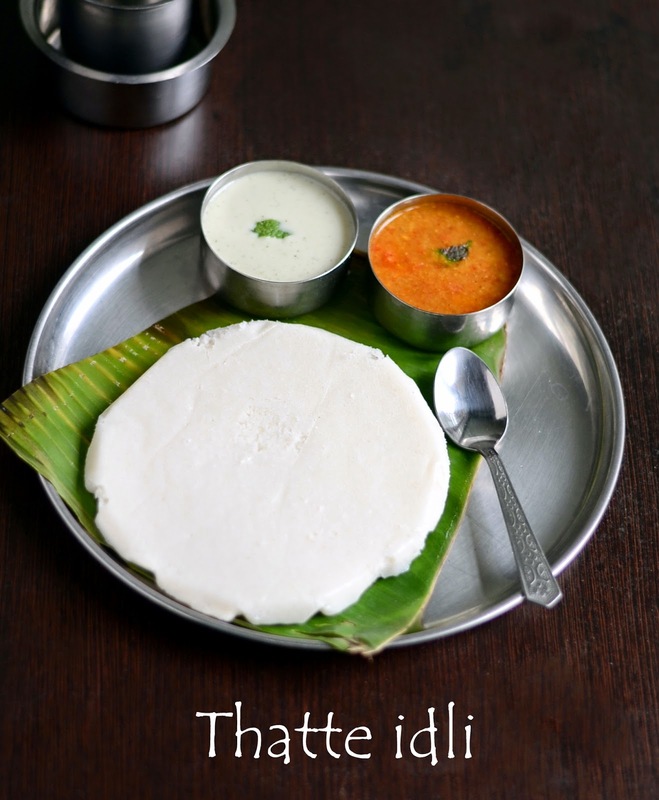 Thatte idly is just inviting me, that last picture is torturing me..So delicious. 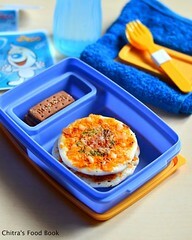 I have this on my to do for such a long time.. using dabba lids is a great idea for plates!! will try this soon!! 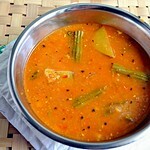 Totally agree that thatte idli and sambar are a superb combination. I am going to try this without adding the soda. Wish me luck! 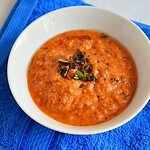 Hi Rajani, Please try adding Eno fruit salt if u don't want to add soda. 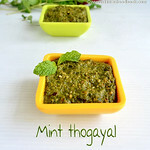 It gives softness to idlis.U can add 1/2 tsp for this quantity i guess :) do try n let me know ur feedback ! Swathi, u can add cooked rice while grinding. no need to soak it. 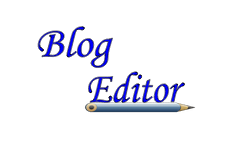 Hi chitra, very useful tips about the millets.I use ragi regularly but was not aware of the other millets benefits.I will start using them regularly.thanks for give d millers pictures also so that it is helpful to buy a right product. I have one of those stands that I use for so many things but never knew its real purpose! Now I know! 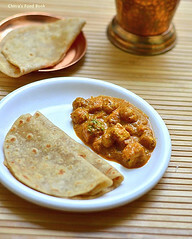 Am going to make Thattu Idli this morning. 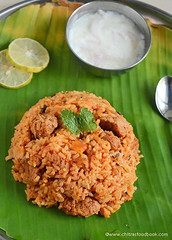 Can v replace thin poha instead of thick?